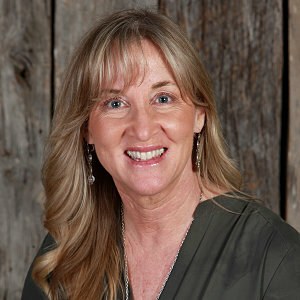 Sarah Berger is the leader of the women’s ministry at Grace Chapel. Born and raised in Southern California, Sarah received Christ at the age of fifteen while attending a Campus Life event with friends. Since then she knew she was different. From that moment on she would never be alone, but would be accompanied by her God. Sarah graduated with a B.A. in Art from Cal State Fullerton, and although art and dance were very important to her, nothing interested her more than this Christ she fell in love with as a teenager. In the late 80’s, while attending church, Sarah met the love of her life, Steve. They married in June of 1987, and in 1990 they planted their first church in Diamond Bar, California. Four years later, they were surprised and delighted when the Spirit called them to move across the country to Franklin, Tennessee. Along with three other couples, they made the move and planted Grace Chapel in Leipers Fork. Steve and Sarah have four awesome children: Heather, Josiah, Cody and Destiny. Josiah made his move to heaven in August of 2009. Since that day, Sarah’s passion has been to make much of our eternal home and to encourage others to have a Heavenly perspective.